Agile businesses need flexibility to confidently pursue their business success. At TVSP we get that and deliver on it. Whether it is the space you require now or need in future, lease terms, IT or support services, we are here to listen and help. This is a given and ongoing throughout our relationship. The amenities – café, breakout spaces, meeting and workshop areas – are all designed to provide a vibrant community space which your business can use at any time. And there is a myriad of additional facilities you can tap into as and when required. Our buildings are designed to be inherently flexible to enable you to expand or contract spaces, change layouts or bring in specialist equipment or services without disturbing your neighbours. We will also work with you to anticipate the needs of your business as you grow, ensuring that the right facilities are available to you in one place, thus avoiding the inconvenience, expense and disruption of a move. Our approach to leases is just as flexible. We have a vested interest in ensuring that your focus is fixed on making your business successful. That can only happen if the terms of the lease match your business as it grows. Every lease here is different, to reflect the status of each individual business at any given time. Every company is different and so are its IT needs. Our IT support is designed to be flexible so that you can have the connectivity you require when you need it. Our other support services are also designed to be flexible, whether it be the use of meeting rooms, additional storage space or access to server space in our dedicated comms rooms. Here you have the flexibility to go and grab a coffee with your laptop in a café or go to the library on the main University campus. Have informal meetings outside on either campus or opt to use formal business spaces like lecture theatres or meeting rooms. Thames Valley Science Park offers so much more than just office space, and companies are drawn here because it is the gateway to a world of additional opportunities. Whether you need to recruit graduates, engage students for projects, explore new ideas, collaborate or gain access to specialised knowledge, equipment or facilities – it's all here. We can plug you into a comprehensive range of support services and networks that will actively help you innovate and drive growth. This network includes organisations such as the Thames Valley Berkshire Business Growth Hub which provides coaching as well as access to finance through the Funding Escalator. Connect with a world-class university. In the top 1% worldwide, the University of Reading is a leading UK research-intensive, educational institution that gives our tenant companies a further advantage. Companies at Thames Valley Science Park can access enthusiastic, creative and talented undergraduates, post-graduates and researchers. Collaboration opportunities abound – something the companies here highly value because it helps develop and grow their ideas and business. One of the world’s top schools in its field, the Henley Business School (part of the University of Reading) offers a huge range of talent development and executive education programmes. Take advantage of a diverse range of programmes from triple accredited MBAs to programmes and events targeted at helping SMEs, such as the Henley Accelerator and SME Marketing programme. The School's applied research centre focuses on topics such as Leadership, Customer Management, Entrepreneurship and Reputation. 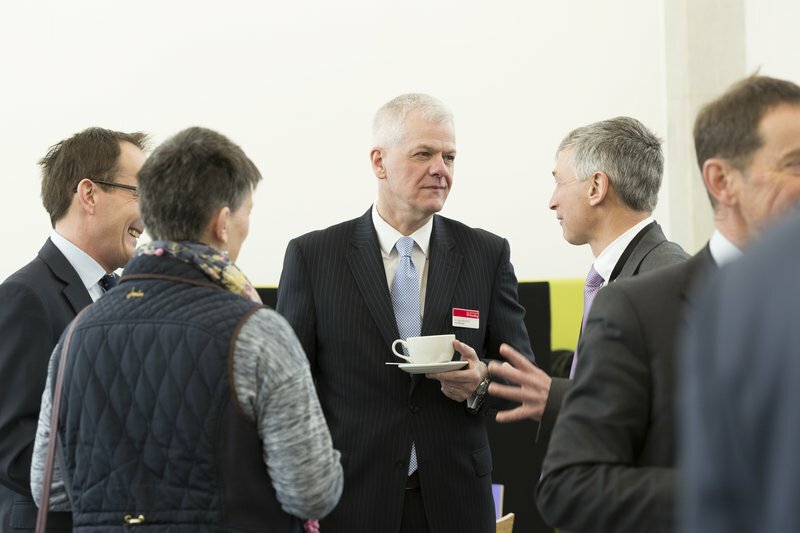 Thames Valley Science Park hosts regular events for ambitious, growth-orientated companies as well as facilitating connections to other business support schemes. Dedicated business coaches work with our tenant companies to tackle their challenges to growth, i.e. access to finance, investment, exporting, training, sales and a whole plethora of subjects. The Thames Valley's expansive networks cover a mesmerising array of business sectors. A valued benefit of being here at TVSP means we can plug you into all this knowledge, the players, support, investors, corporate innovation teams, university research, innovators, sources of funding and expert advisors as well as fellow companies already here. If you want to find out how to leverage this 'network of networks' then discover more at our Innovation Catalyst here. The University of Reading is one of the world’s top Universities. It has a reputation for excellence in research, in teaching and for the impact and contribution it makes to our wider economy. The Thames Valley region itself is renowned internationally as a centre for business and is home to many leading innovation-led, technology-based companies. We are ambitious for the future. And, our investment in Thames Valley Science Park is a key mainstay of a strategy that re-enforces our core Vision. That vision is to ensure our graduates are well placed to meet the needs of leading-edge businesses and that our research has relevance and impact to individual and enterprise growth. Thames Valley Science Park will be seen as the beating heart of the community of innovation that exists in the Thames Valley. It will be recognised as a place that actively encourages ambitious, innovation-led and technology-driven companies to develop and grow through the most comprehensive and centralised range of support initiatives and connections in this area. Working with our partner, the University of Reading, we will continue to grow the Thames Valley's reputation as one of Europe's most vibrant knowledge economies. What underpins our vision is a core philosophy that your success forms the foundation of our success. This means we take a very personal interest in you and your business needs in order to tailor a package of space, terms and support services that are both appropriate and right for you. Our aim is to develop and cultivate strong, open relationships based on trust and respect for the long-term benefit of all. As a leading research-intensive organisation, the University of Reading strives to ensure its graduates fulfil their potential and that research undertaken is relevant and positively impactful. To this end, relationships with business are critical. The idea of Science Parks came about through the need to better enable University-Business collaboration. We are no different. Proximity leads to collaboration for mutual benefit which is why Thames Valley Science Park is a core part of the University’s growth strategy.